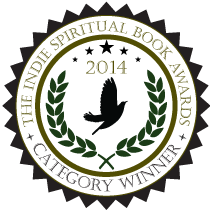 I am happy to announce Ever-Flowing Streams: Christ, Reiki, Reincarnation & Me won the Energy Medicine Category of the 2014 The Indie Spiritual Book Awards (TISBA). I was absolutely engaged, from the first page to the last. I could not put the book down. This isn’t just a memoir, or a book about healing. It is one woman’s spiritual journey at discovering her own healing power through Christ. She explains how it is available for all of us to tap in to. I appreciate her down to Earth approach and how she shares her doubts and thinks at times she might be “crazy”, yet she lets her heart guide her to amazing enlightenment. The book has the meat and potatoes of science and references to other scientific books if you care to research, sprinkled with the seasoning of personal life stories. It is an enjoyable, yet informative read. Personally, I felt like she was giving words and explanations to beliefs I already held to be true but could not explain. Each chapter was a beautiful revelation, such as the fact that at our DNA level we are luminary beings as we are made of bio-photons which actually emit light energy. I felt safe in the knowledge that she is just a girl from California, seasoned in the Southern Midwest who has a Christian background. My fear of tapping into things that weren’t of God have always held me back. Without being preachy, the author gives honor to God and Jesus for her gift of healing power. I am thankful that she answered the call and had the courage to share this with us all. Kindle Unlimited Members may read for free!